Thoughts? I love that Yondu is part of the team now. 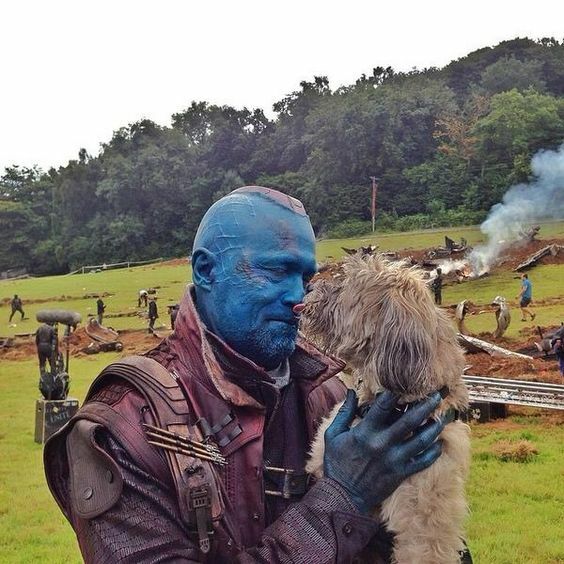 I'm glad Yondu is part of the team too. He was the best part of the last movie. Our mileage differed greatly on that. I was wondering who the redneck Smurf was and why people were calling him Yondu. Milage definitely varies. I actually find him oddly attractive in these movies. Smurf me. Drax's sense of humor is the best thing in the trailers so far. So Mantis is finally part of the team? Good. I can't stop smiling, really. The Fleetwood Mac song is another great choice. ...am I the only one who's noticed that everyone but Gamora's had a speaking line in the trailers so far? She yelled angrily while carrying a large weapon. I feel that is an appropriate contribution from her character.